Drug dealing is risky, shady business and there’s no room for second chances. A pair of bottom rung drug runners, Kyle and Swin, live by the orders of a drug ring boss they’ve never met. But when a drug deal goes horribly wrong, frightening consequences are soon to rattle the duo's routine lives. There’s no right or wrong. They must be eliminated. Walter Franklin (Cage) lives alone with his wife Fancy in a Victorian house on a quiet island in Louisiana. Walter is awoken in the middle of the night by a home invader, he swiftly guns down the invader but destroys his fence in the process. Walter hires Buddy (Benward), to quickly fix his fence but the job is put on hold when a ferocious hurricane strikes trapping Buddy at the Franklins’ residence. 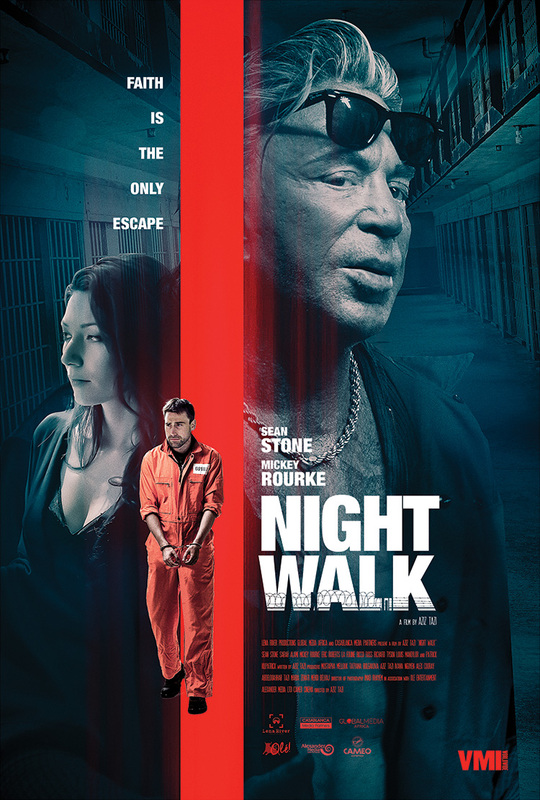 The night takes an expected turn and Walter is forced to frame Buddy for murder. 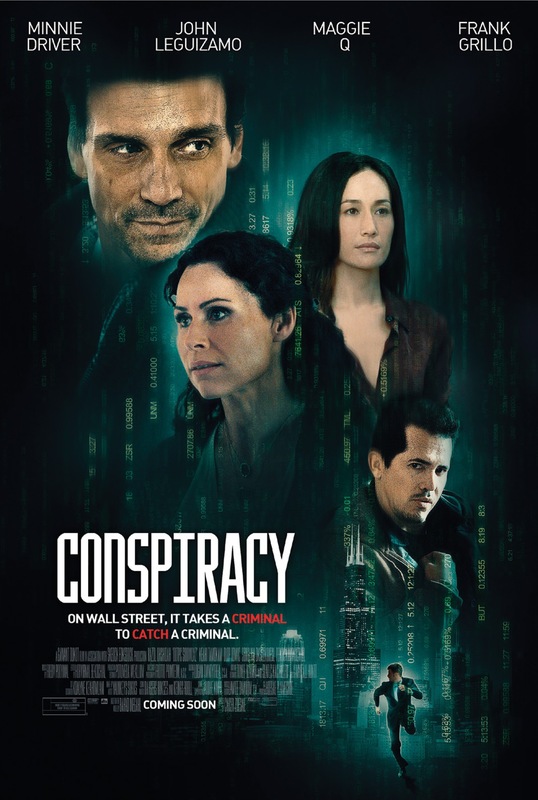 When Detective Jones (Grammer) is brought in to lead the extensive investigation he soon exposes the true identity and intentions of the conspirators. 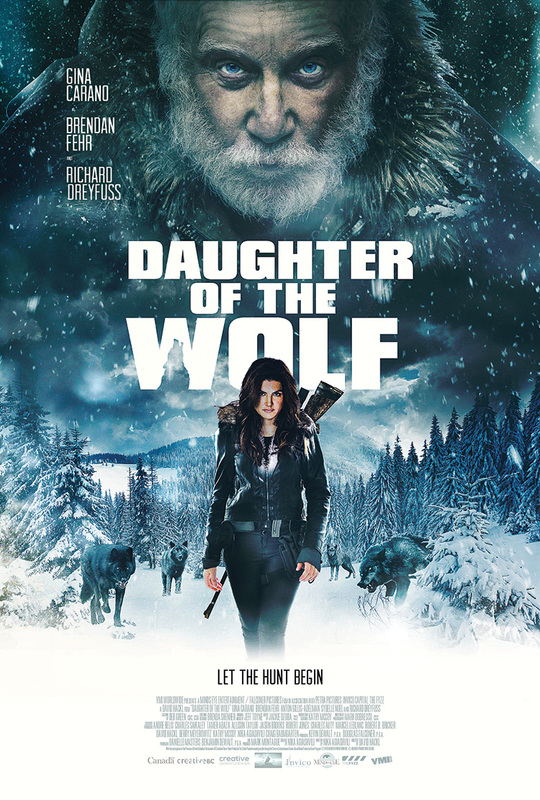 When a nuclear device causes an electromagnetic pulse that kills power to more than 200 million people, a teenage girl must help lead her family to survival in a dark new world. Chelsea, a high school introvert, is abducted through a social media app and is forced to look like other girls Brad holds captive. Chelsea desperately attempts to persuade them to escape before they all become victims in his virtual reality filmed murders. Clair McKenna, an ex-military specialist, comes home to the recent news of her fathers passing only to find herself at odds with her defiant 13-year-old son, CHARLIE. With the news that Clair has inherited a large sum of money from her fathers business Charlie is kidnaped for a ransom. Instead of seeking help Clair takes one of the kidnappers, Larsen, as a hostage and forces him to lead her on a perilous journey to rescue her son from the mysterious figure only know as the Father. The trek takes Clair deep in the mountains of the Yukon, near the US – Canadian border as a winter storm approaches. As the odds of survival start to mount against Clair she has no choice, but to form an unlikely alliance with Larsen in order to save her son and survive the wild of the far North. 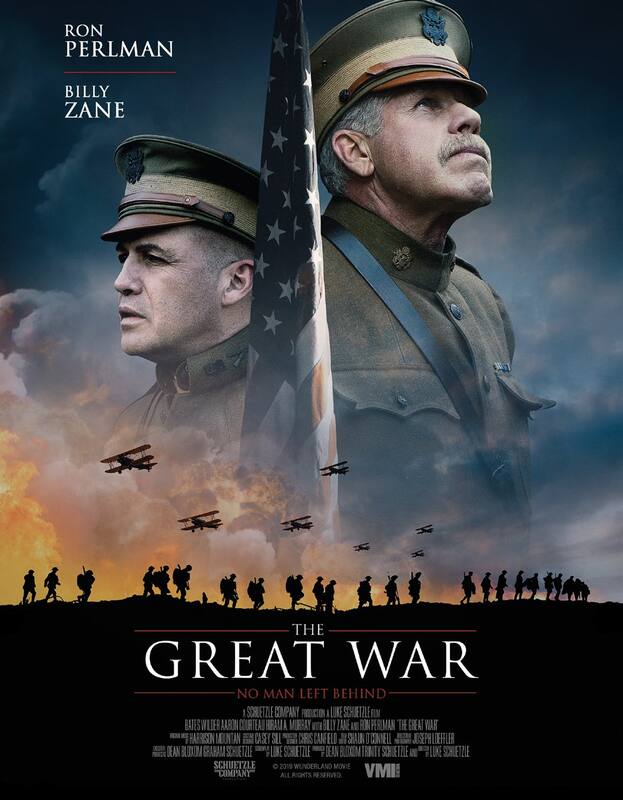 During the last days of the Great War, A group of U.S. soldiers are sent behind enemy lines to rescue a lost platoon known as the Buffalo Soldiers. Following the orders of General Pershing (Perlman) and Colonel Jack Morrison (Zane), Lt. Rivers will stop at nothing until his squadron is returned from behind enemy lines. JOHN (Van Dien) invites his buddy David “COOP” Cooper and his attractive wife VIVIAN onto his new yacht, encouraging the couple to relax and get away from it all. They embark on a sea journey on John’s yacht, The Bella which, becomes the stage for a deadly game that puts friendships and lifetime love to the test. As the ship treks farther into the open horizon, the characters become more isolated; and an unexpected mechanical malfunction leaves the yacht dead in the water, they decide to launch a mission to seek help. But is soon met by a modern day pirate (NELSON) which becomes a fight for survival in the dead open water. When an American atheist is wrongfully imprisoned by corrupt police for the murder of his Arab wife, his quest for justice turns into a spiritual journey lead by Muslim inmates, from the moderate convert to terror-linked fundamentalists. Zoey Slade finds herself uprooted from her Chicago home and dragged to the a small town in Missouri by her widower father. They move into a spooky house in the town of North Bay, which is filled to the brim with mean girls, creepy teachers, and secrets. When the always practical Zoey witnesses something she can’t explain in the school pool, her scientific foundations are rocked to the core. She turns to two local girls, Morgan and Tara, who are amateur ghost hunters. On the eve of his anniversary, Brandon (Green) discovers his wife is having an affair. Distraught and without hesitation he jumps on a plane with his childhood friend Dan (Meyer) on a prepaid trip to Thailand, that was intended to be a surprise trip for his wife. Once in Thailand, the pair go on a series of excursions and tours intended for a happy second-honeymooning couple. Brandon and Dan soon notice their friendship is more estranged than Brandon’s marriage. Upon their journey they meet two eccentric tour guides Ian (Culkin) and Pen (Song) who show them the wonders of Thailand and bring the two friends back together through life, love, and good fun. 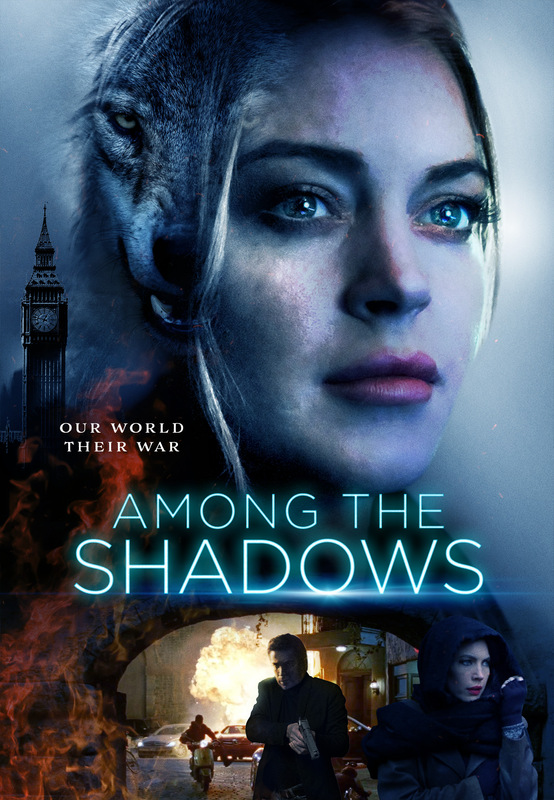 Kristy Wolfe (Charlotte Beckett) is a Brussels private eye descended from werewolves who must go to work when her uncle Harry Goldtsone is murdered in a politically-motivated attack. 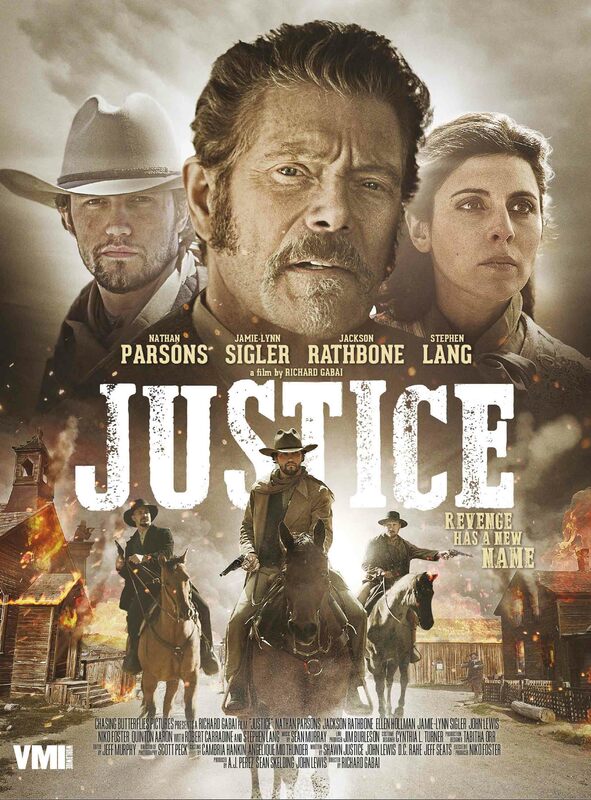 Patricia Sherman (Lindsay Lohan), the wife of European Federation President Richard Sherman, hires Wolfe to investigate Goldstone’s killing, as he was her husband's campaign manager. Wolfe finds bodies falling all over city and must use her innate instincts to unravel the case and stay alive long enough unmask the conspiracy. Kurt Matheson (Christensen) is a war veteran with PTSD (post traumatic stress disorder) who perceives that the end of the world is coming. 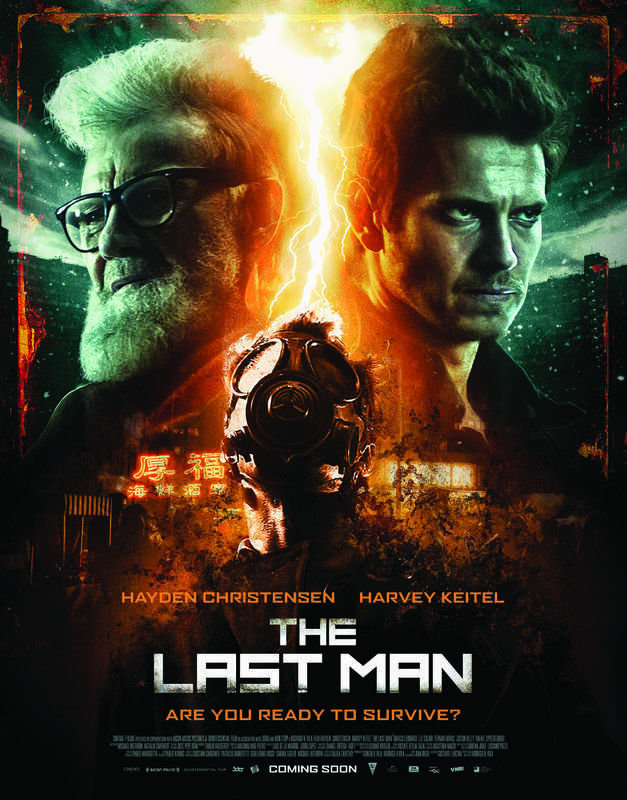 After establishing a relationship with a dubious Messiah (Keitel), he leaves his normal life and begins the construction of a shelter underground, training himself, in an extreme way, at the cost of losing everything and making people believe he is insane. When he also believes it, something extraordinary happens which makes the people around him question whether he is insane after all. 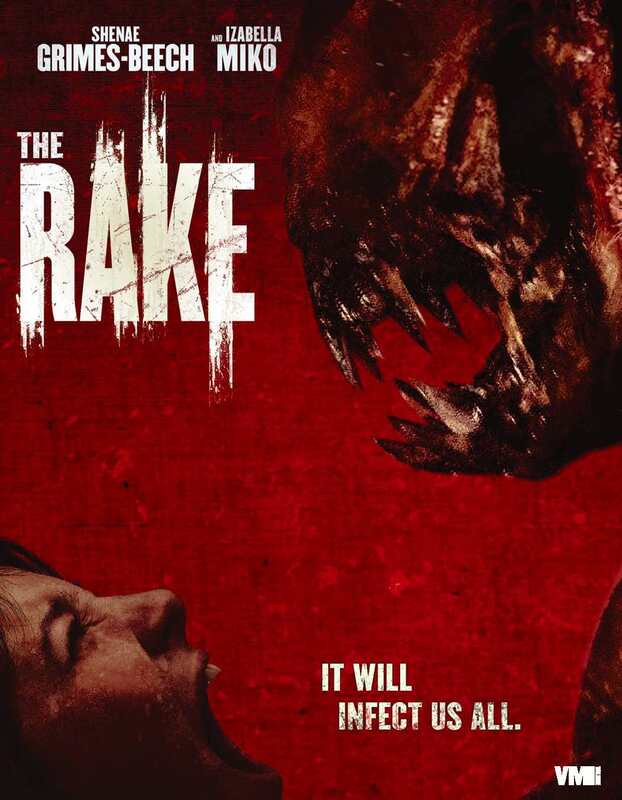 Brother and sister, Ben and Ashley, reunite 20 years after the murder of their parents to face the cause of their parents’ death, a supernatural creature known as The Rake. The Making of Platoon, a Documentary. Charlie Sheen narrates, as cast and crew share their personal experiences making the Academy Award winning film, Platoon. This non-union, low budget, independent film was cast almost exclusively with young, unknown actors making their first film. 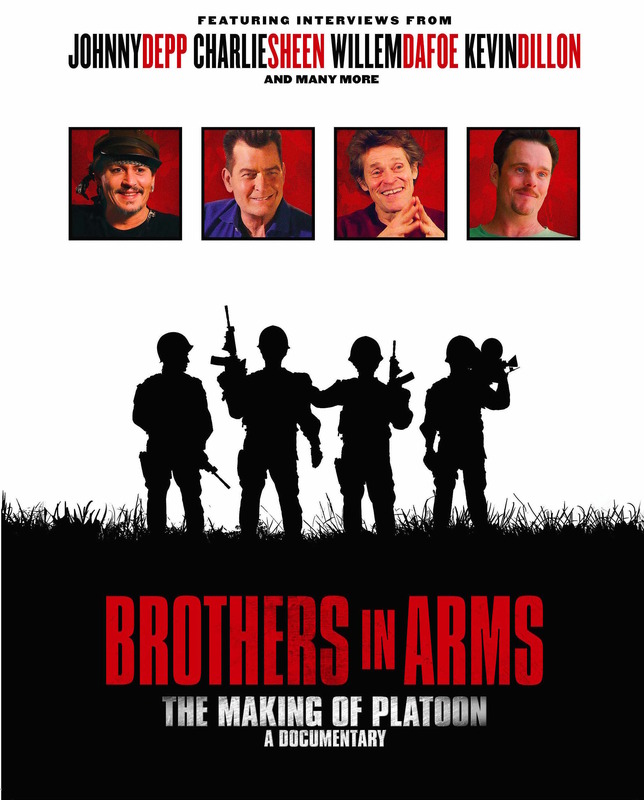 Together they share their first hand accounts of the grueling boot camp, Oliver Stone's "unique" directing style, and the brutal filming conditions that together forged their eternal brotherhood. 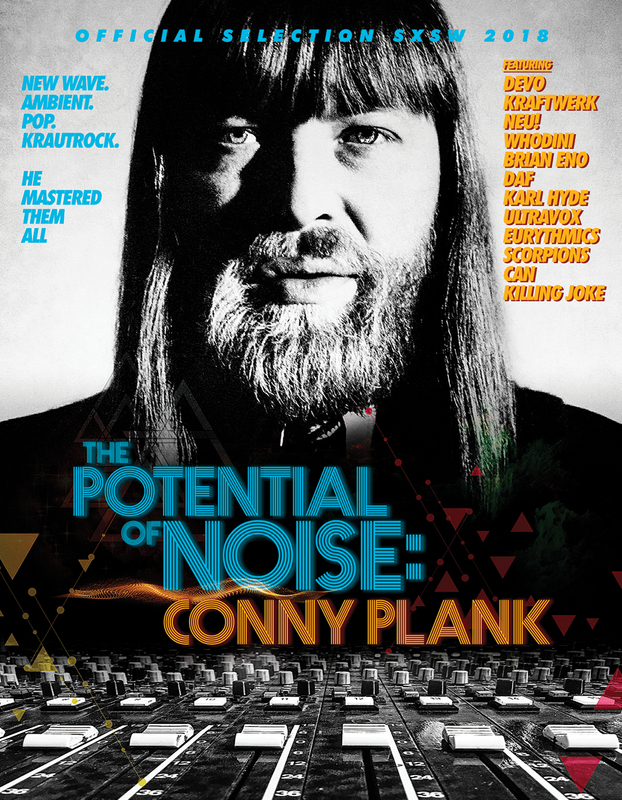 Konrad “Conny” Plank is undoubtedly one of the most innovative sound designers of his time. The recordings realized in his sound studio near Cologne between the 60s and 80s, revolutionized the music world. He was the pioneer of “Krautrock” and paved the way for the revolutions of electronic and pop music respectively. Bands and artists who were fathered by the sound wizard all agree that their careers would have been different without the talents of Conny Plank. Featuring music and interviews of Kraftwerk, Neu!, Can, Whodini, Brian Eno, DAF, Gianna Nannini, Ultravox and the Eurythmics. Conny Plank, Scorpions, Eurythmics, DAF, Whodini, Kraftwerk, Neu! In the tradition of “Grease”, "Saturday Night Fever" and “American Graffiti” comes CRUISE, a joyous, music-filled trip down memory lane. 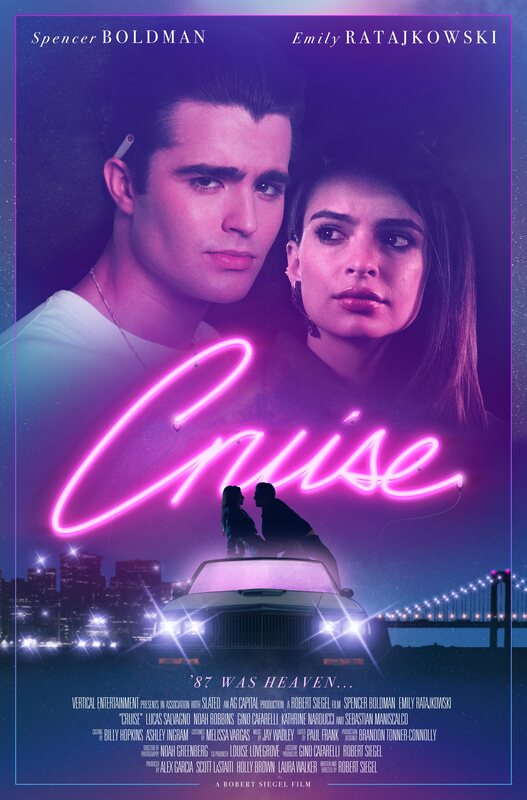 It’s the summer of ’87, and working-class Italian-American Gio Fortunato (SPENCER BOLDMAN) has little on his mind but racing cars and chasing girls. An auto-parts store clerk by day, Gio comes alive every night on Francis Lewis Boulevard, the Queens cruising strip all the local kids flock to in search of good times. 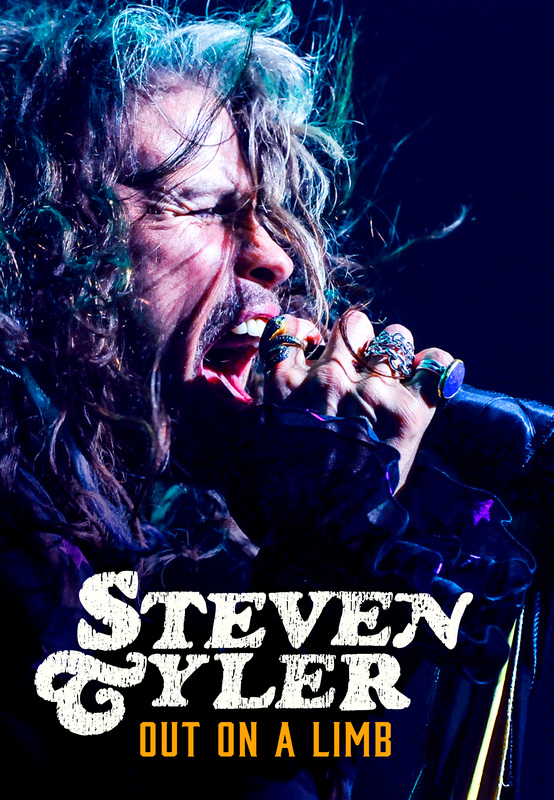 The king of the boulevard, Gio thinks he’s got it all figured out until one fateful night when he crosses paths with Jessica Weinberg (EMILY RATAJKOWSKI), a nice Jewish girl from Long Island who goes “undercover” as a guidette for some illicit thrills on the wrong side of the tracks. Sparks fly between blue-collar Gio and the sophisticated college girl, who embark on an unlikely summer romance that turns his carefree world upside-down. An affectionate look at the youth culture of a bygone era, Cruise celebrates the joys of muscle cars, Motorola pagers and endless summer nights. 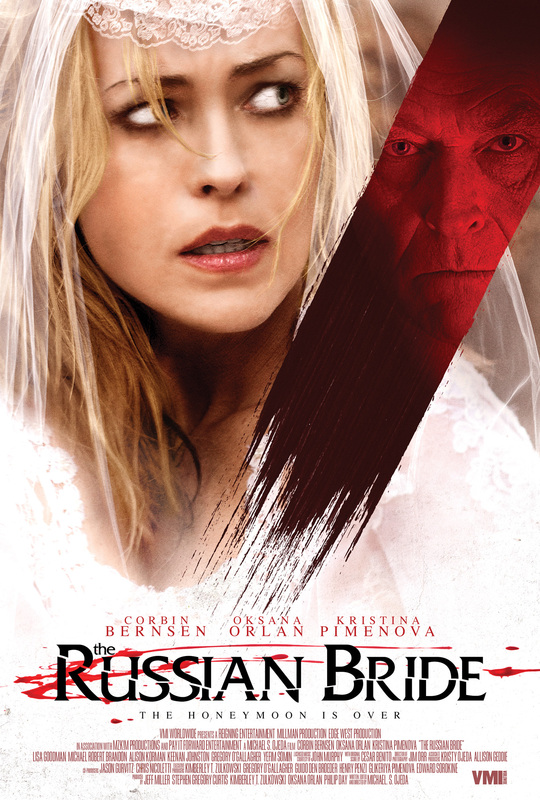 Beautiful Nina (Oskana Orlan) lives a dreary existence in Russia. 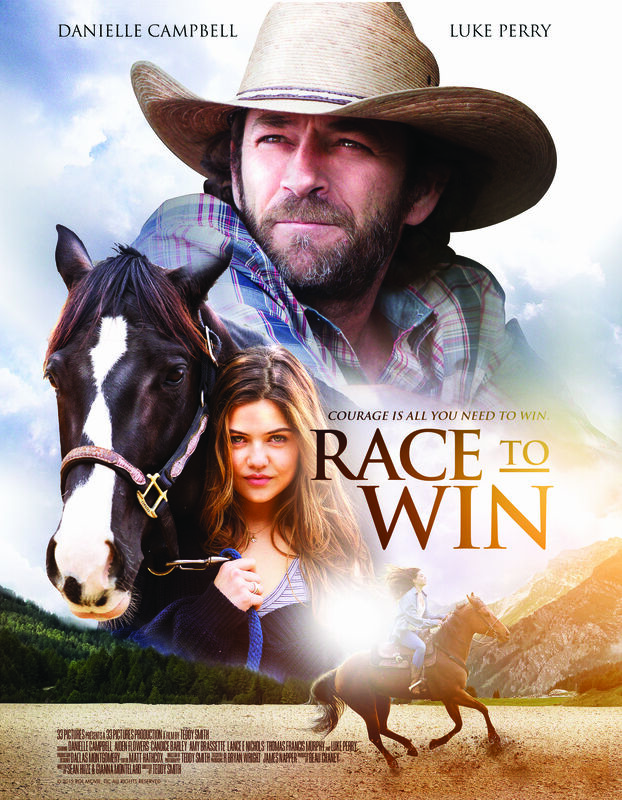 Wanting to create a better life for herself and her beloved daughter, Dasha (Kristina Pimenova), Nina accepts a marriage proposal from a reclusive billionaire Karl (Corbin Bernsen) whom she met online. Dasha and Nina pack up the little belongings they have and set off for America. Nina and Dasha soon find themselves living in an opulent, secluded estate, with the servants and riches at their fingertips. But shortly after Nina's wedding to Karl, things begin to change, and a dark undercurrent begins to surface. Nefarious plans come to light, as a terrible storm starts to erupt, the bride and her daughter find themselves fighting for survival. It’s 1941 and the Japanese attack on Pearl Harbor has destroyed America’s morale. The US President Franklin D. Roosevelt then decides to risk it all by bombing Tokyo and raise more hope for his citizens. After completing its mission, a unit of the US Air Force is forced to make an emergency landing in China. 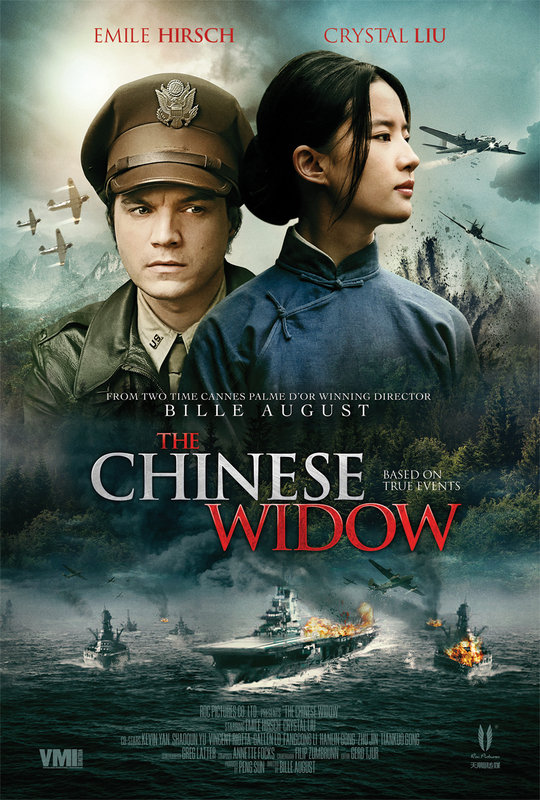 Its commander Jack Turner (Emilie Hirsch) barley survives but gets rescued by Ying (Crystal Liu), a local widow who will stop at nothing to hide him from the Japanese occupant. BERNARD (Skyler Gisondo) is a wise-beyond-his-years teenager who has been raised by his quirky, shuffle board-loving grandfather, OSWALD (Bruce Dern). 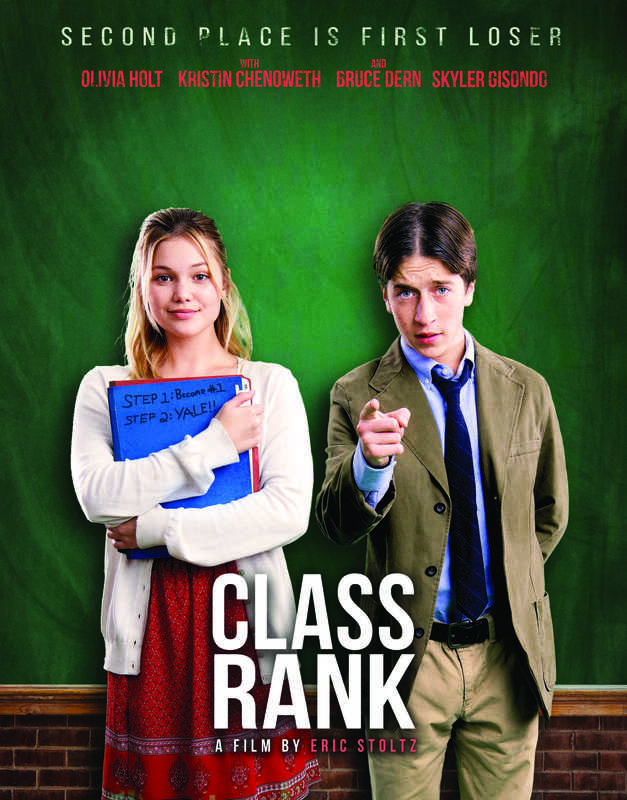 When Bernard is approached by his classmate, the Type-A, Yale obsessed VERONICA (Olivia Holt), to run for the Board of Education, he jumps at the chance thinking it will help further his own agenda for a better run educational system and keep him home during his college years to take care of Oswald. 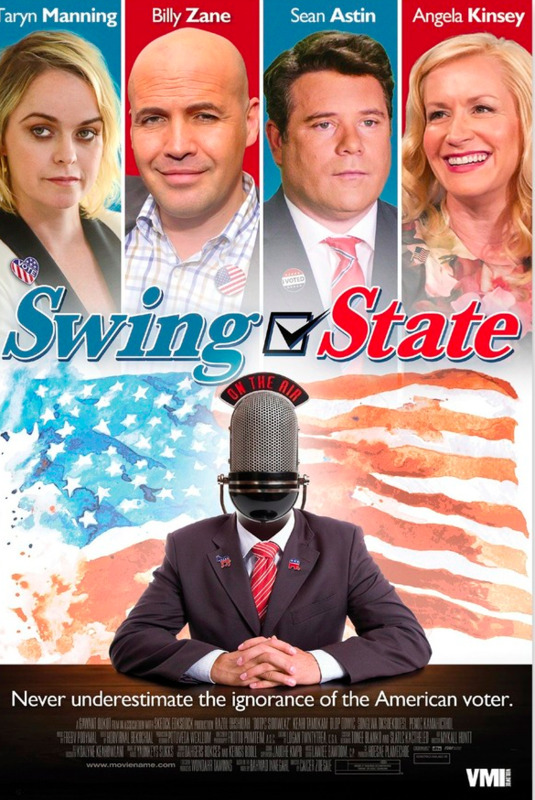 Veronica, after finding out she's ranked number two in their class, has an agenda of her own, to get rid of class rank so she can get into Yale in hopes of becoming the youngest Supreme Court Justice instead of following in the footsteps of her TV producer mother JANET (Kristin Chenoweth). While attempting to woo the worldly EDITOR-AND-CHIEF (Kathleen Chalfant) of the local newspaper for an endorsement, Bernard finds a new companion for Oswald. Over the course of their campaign, Bernard and Veronica discover the meaning of true love and importance of helping others, and Oswald and the Editor-and-Chief find companionship and hope for a sweet future together. 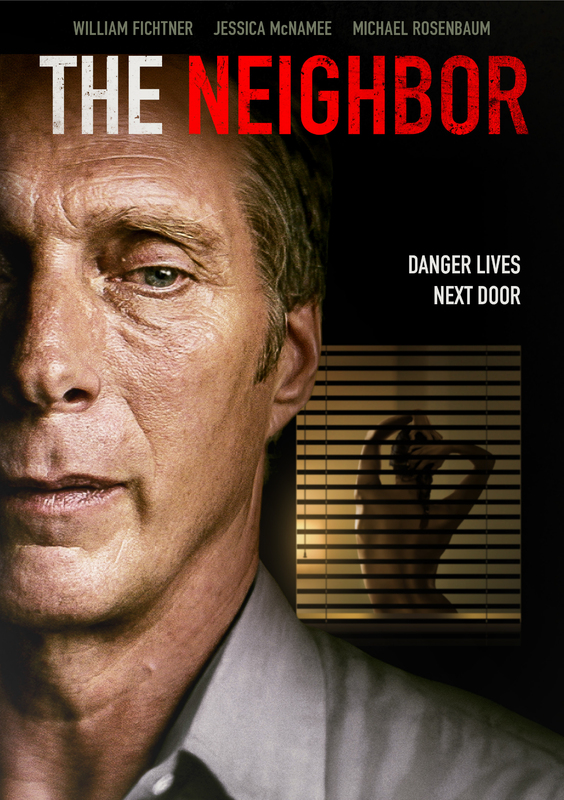 The Neighbor follows Mike, a middle-aged man in a routine marriage, wrestling with the fact that he feels his life to be passing him by. Yet, when a young couple moves in next door, Mike quickly befriends the young and vulnerable Jenna - herself trapped in a tumultuous marriage to Scott, a car salesman with an immature and pejorative streak. Mike works from home as a copywriter, which allows him plenty of time to pay attention to the beautiful young woman next door; who slowly begins to reveal the details of her life with Scott, and the fact that all isn't as carefree as Scott would like it to appear. 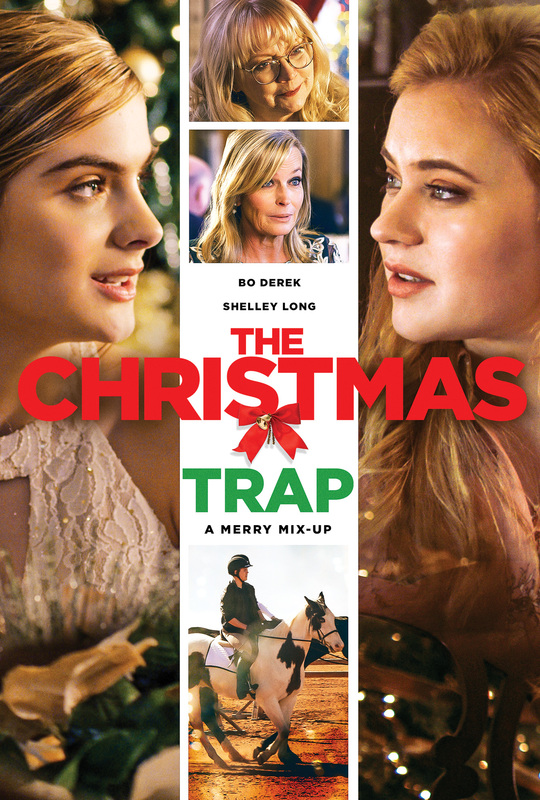 As Mike witnesses the young couple's relationship straining, his own marriage starts coming apart at the seams, as Mike's wife Lisa also sees the attraction forming and pulls further away from Mike - pushing their own relationship the breaking point. Compounding the fact is Mike's son, Alex, who returns from college and forms an unwitting friendship with Jenna, much to the distain of his father. As Mike witnesses the perceived abuse of Jenna at the hands of Scott increasing, he makes one last drastic and misguided effort to intervene - and in the end only serves to completely sever his relationship with Jenna, his family and his life in general. Lauren Mauldin (Thora Birch) is a strong-willed but misguided young woman who encourages her millions of blog followers to apply her scientific formula to all relationships in order to prevent heartache. If you follow her six-month “PIG Theory,” you will always have the upper hand and you will NEVER be cheated on! Her plan works smoothly until her sister Gena introduces her to the charming and undefeated women’s advocate attorney, Calvin Chesney (Chris Klein). Calvin refuses to believe human connections can be so easily categorized. He challenges Lauren to a competition to prove her theory wrong. He’ll pick five of his closest friends to be tempted by Lauren’s beautiful bait. If three out of five cheat, Calvin must admit defeat and never speak to Lauren again. But if three out of five resist temptation, Lauren must shut down her blog and date Calvin like a normal person, with no expiration date. With twists and turns and unexpected challengers along the way, no one can predict how this will all turn out. And when two feisty people used to getting their own way go head to head, their ultimate choices to get across that finish line may surprise you. The year is 2030. Global warming has turned parts of the American Midwest into a desert. 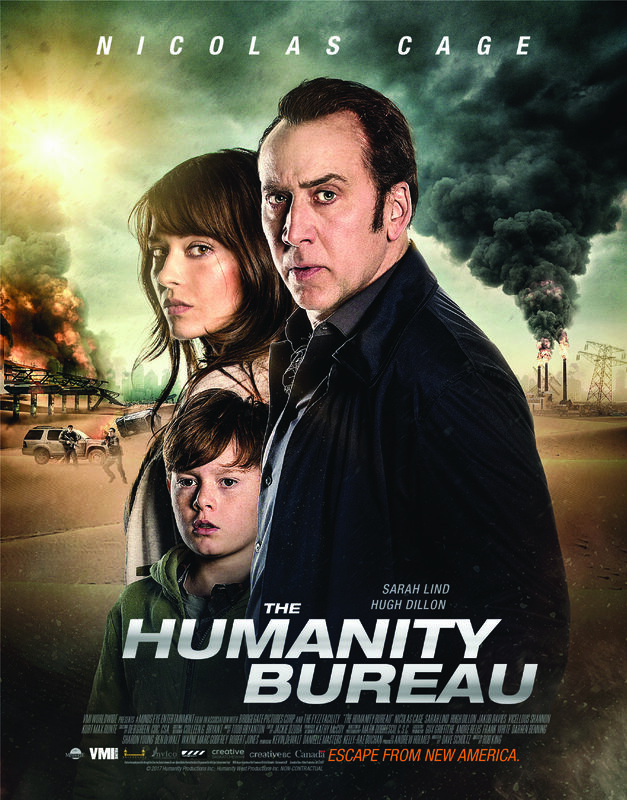 In its attempt to take hold of the economic recession, a government agency called The Humanity Bureau exiles members of society deemed unproductive and banishes them to a colony known as New Eden An ambitious and impartial caseworker Noah Kross (Cage) investigates a case appealed by a single mother (Lind) and her son (Davies). Knowing the unjust fate of the innocent boy, Kross sets off to save the lives of the mother and child duo and to expose the truth about The Humanity Bureau’s secrets once and for all. Kara Gentry has always had everything money can buy. Jessie Wilkins is from the other side of the tracks. When seated next to each other on a plane headed home for Christmas, these two teenage girls strike up an unlikely friendship. They soon find they’re both being forced to spend the holidays in the same small town with relatives they've never met. Neither girl is happy about their holiday arrangements so they devise a plan to switch places for Christmas. Jessie finds herself living lavishly with Kara's wealthy grandparents. Kara finds herself with Jessie’s fun, quirky grandmother and the most genuine, modest family she’s ever met. With a little help from Santa and a Christmas wish, Kara and Jessie find the families they've always wanted and discover an even bigger surprise they never expected. It's 1868 and the war has been over for three years. An old abandoned mine is now being transformed into a military stronghold by a corrupt Mayor and band of blood thirsty outlaws whom are a part of a larger web hell-bent on a re-surge of the civil war. 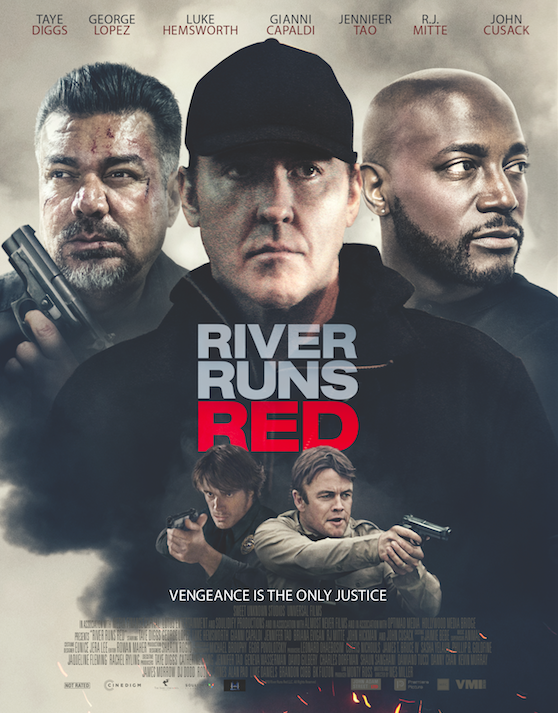 When a US Marshal, James McCord comes to town only to find out that his brother has been murdered, his search for the killer takes him on life or death struggle for a much greater cause. 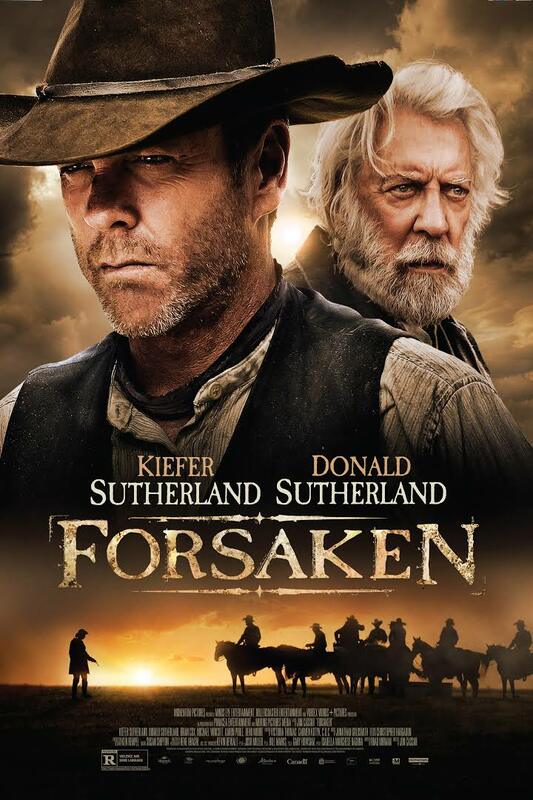 During the great Civil War in America in the year 1864, two Brothers find themselves on opposing sides of the fight as one hopes to help abolish slavery while the other believes it is his God-given right. Ten years later, Hollis Ransom, now a ruthless head hunter with a legendary reputation, has been tracking his infamous Brother since the end of the war. His efforts have led him to Montana during the gold boom. Having fought for the Union Army as a Captain and his Brother for the Confederates, Hollis has developed a hatred for his kin the likes of which no one has ever seen. 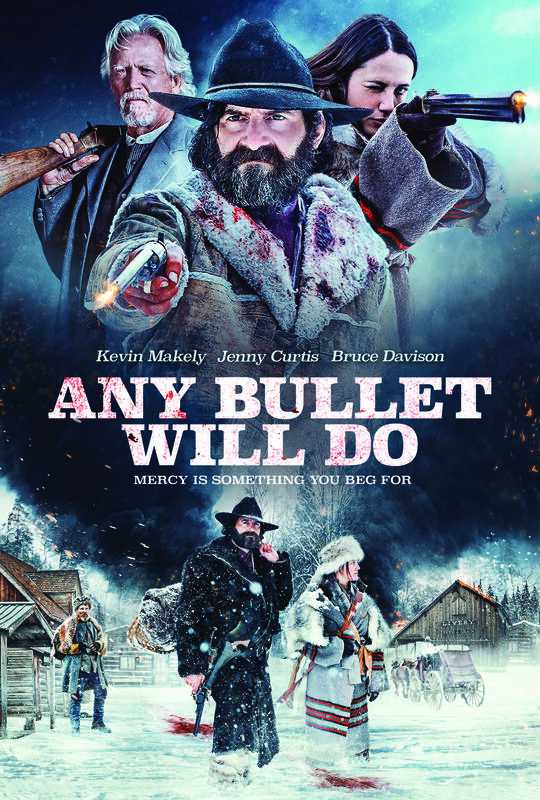 With the help of a young fur trapper, Hollis sets out on a bloody path through the rugged wintry lands of Montana and Wyoming, fighting outlaws, evading Indians, and finally meeting his Brother in an epic battle that will seal both men’s fates once and for all. "Muffin Top: A Love Story" is the story of Suzanne (Cathryn Michon) a Women's Studies Pop Culture professor at Malibu University, who studies images of women in the media for a living, and yet is made insecure by the constant parade of female perfection that is our airbrushed culture. She has been going through IVF treatments to get pregnant by her network executive husband (Diedrich Bader), but discovers on her birthday, that her husband has knocked up his younger, skinnier, co-worker (Haylie Duff) and wants a divorce. Happy Birthday! She goes on to find a more authentic version of who she really is, despite the delights of being suddenly single in Los Angeles, where low self-esteem for women is their number one export to the world. The year is 1944 and the Jews of Eastern Europe are being massacred by the thousands. 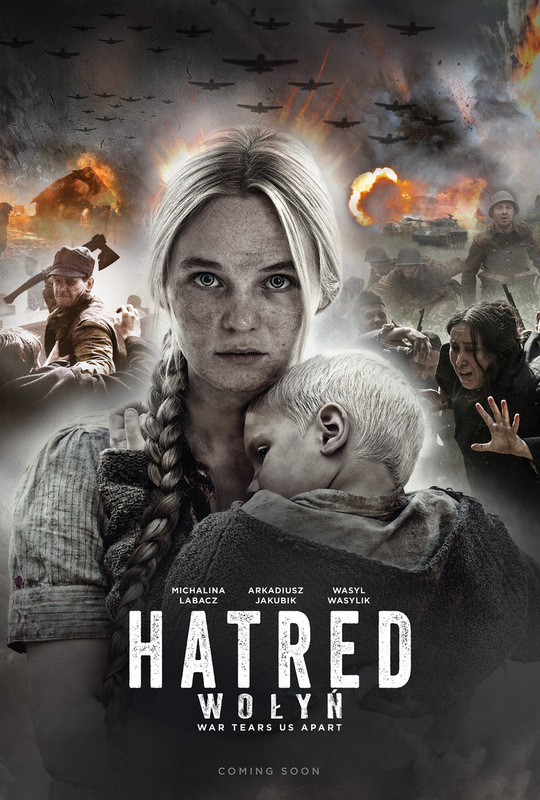 Galvanised into action after the death of his wife, Hungarian barrister Sonson finds himself leading an inspirational fight back against the increasingly desperate and dangerous Nazis. With a combination of daring, courage and audacity he turns a struggle to survive into something far more consequential - a way to avenge the deaths of his people by saving the lives of thousands of others. 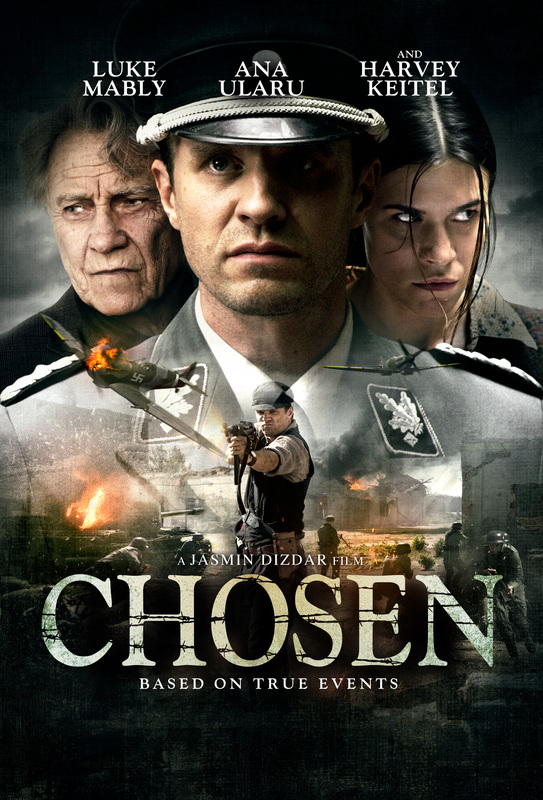 An epic tale of family, vengeance and salvation, and inspired by true events, Chosen follows one man’s incredible mission to alter the course of World War II. A comedy about a small New Jersey town on the night of Orson Welles' legendary 1938 "War of the Worlds" radio broadcast, which led millions of listeners to believe the U.S. was being invaded by Martians. 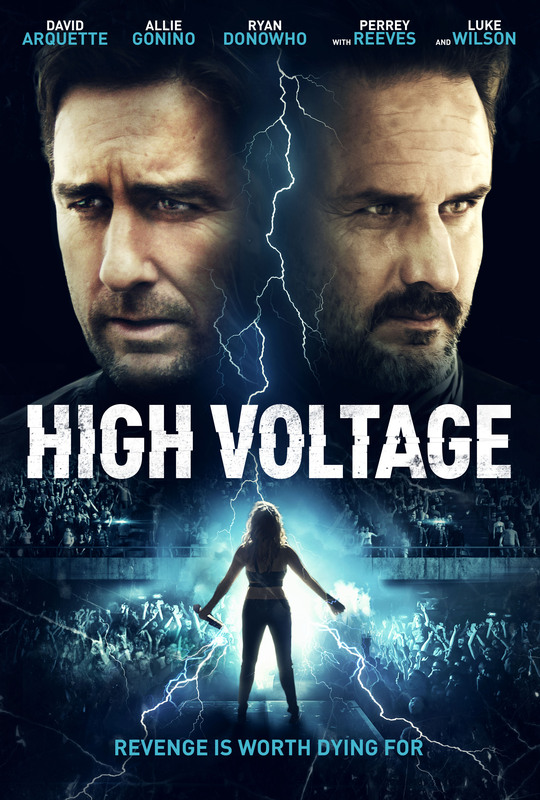 Hollow Body is a struggling rock band led by JIMMY KLEEN (DAVID ARQUETTE) who makes a deal with RICK ROLAND (LUKE WILSON) a shady record executive. Things take a dark turn when the band's lead singer RACHEL SWANN (ALLIE GONINO) and her controlling stage mother, are struck by lightning and killed. Rachel comes back to life, now possessed by the spirit of her dead mother and with strange electrical powers she can't control. Both personalities struggle for dominance of her body while the band begins to take off. Rachel's bandmate discovers the dark secret behind the band's success: Rachel is using her electrical powers to kill men and drain them of their electricity, transmuting it into electrifying performances. He and Jimmy must decide if they will stop her or if the high cost of success is a price they are willing to pay. The Civil War ended and the country is undergoing a deep process of change. Railway translates into progress and the stagecoaches have gone in decline due to the constant threat posed by bandits. The Colonel is one of them – a survivor of the old world- and his partners in crime, Red and Cuba, his perfect complement. 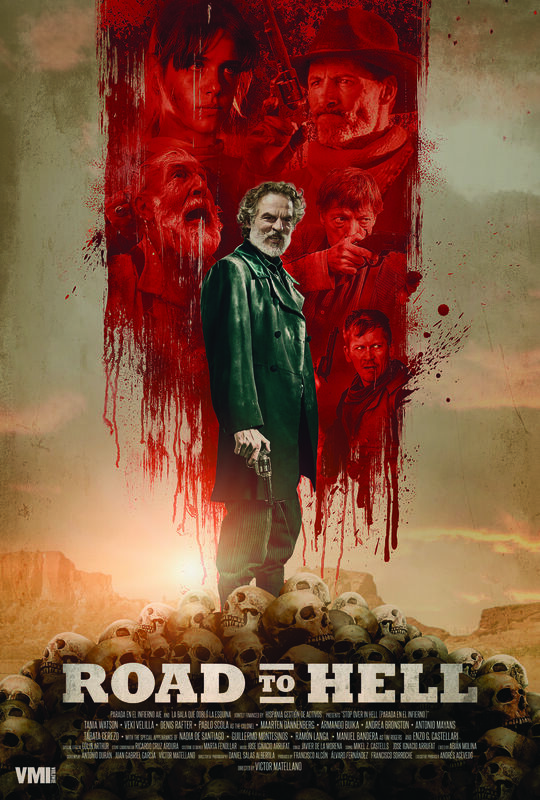 Chris and the veteran Ernest are in charge of one of the stagecoach stops of the Black Hell company, and that morning, as always, they are waiting for travelers. The first vehicle of the day consists of two attractive sisters, Liz and Anne, who are in mourning for their father´s death. They are traveling to accomplish his last will so that they can start a new life. Soon after the sisters’ arrival, the Colonel´s gang bursts into the stop. They have not arrived by chance, they are looking for something very specific and they are sure that there, they will find it. The gang is received with mistrust due to their appearance and attitude. However, they do not have any intention of pretending. They kidnap all of those present and begin a macabre game which only they enjoy playing. The Colonel, solely ask for a thing, to abide by his law and wait. But the night is long and the vultures perceive the smell of death that the stagecoach stop emits. Christmas 1944, The Germans make one final push against the attacking allied armies in the West. Lt. Robert Cappa and his platoon of 2nd Infantry Division soldiers have been ordered to hold a vital road junction against the German aggressors. 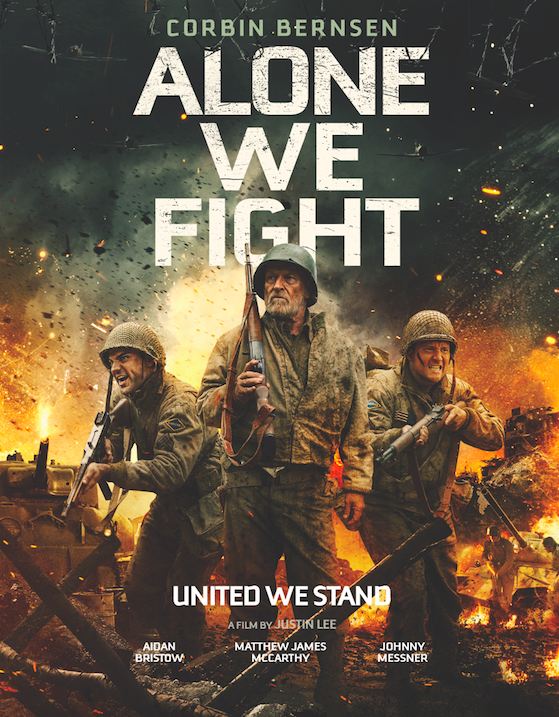 Cappa and his men must find their faith and strength to stand against their enemy in the epic fight know as "The Battle of The Bulge." The year is 1939 set right before the outbreak of World War II in a small village in Volhynia which is settled by Ukrainians, Poles and Jews. Zoysia Glowacka a young Polish girl falls in love with a young Ukrainian boy named Petro from the same village. Yet her parents marry her off to a much older Polish widower who is also the village administrator, Maciej Skiba. 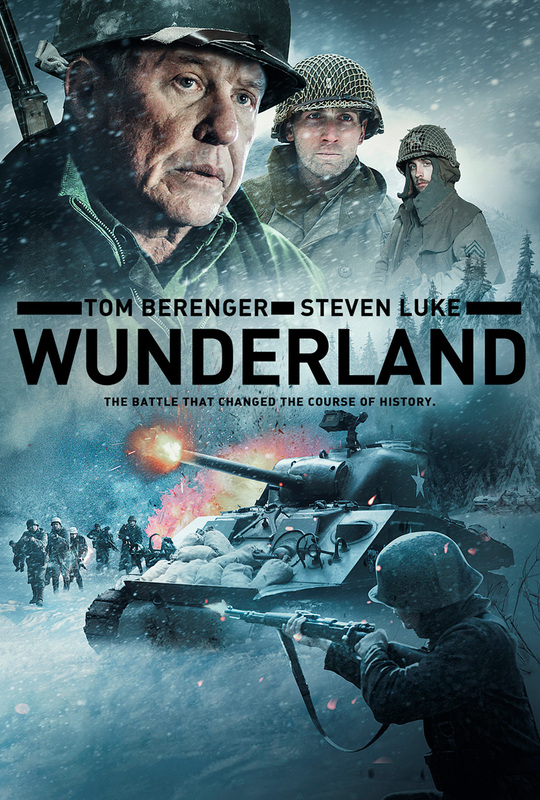 Once the war begins Maciej is recruited into the Polish Army to fight against the Germans. When the campaign is lost Maciej and other survivors journey home but are captured by the local Ukrainians, tortured and killed. In the meantime Zozia, alone and pregnant is forced to flee the overtaken village to save the life of herself and her children. Siren Phillips has lived her life thinking she's an ordinary girl, in an ordinary town. On the eve of her twelfth birthday, however, she learns that she is far from ordinary. 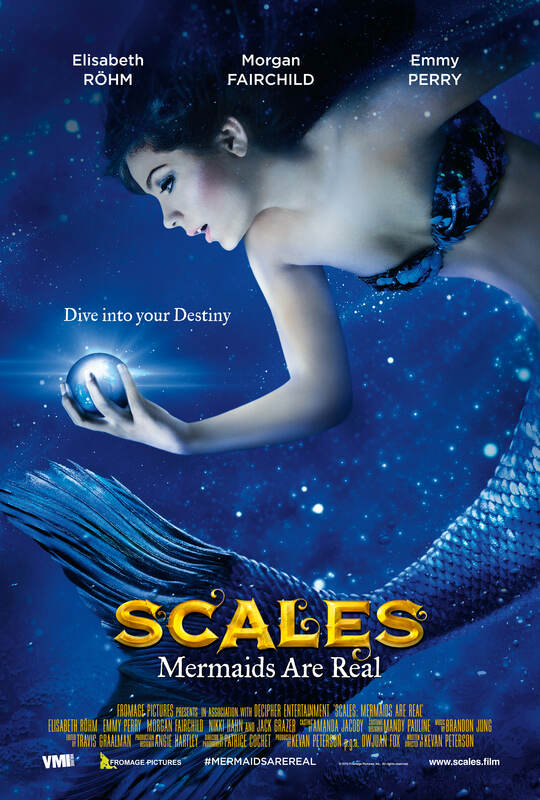 Destined to turn into a Mermaid at the age of twelve, Siren must struggle with her new reality, saying good bye to her mother and friends, while she transitions into the water. To make matters worse, a group of Hunters are after her, trying to catch her. She soon becomes friends with Adam Wilts, a new boy at school, who she turns to for help. He agrees to help her, but finds himself caught in the middle, when it's his own father who is after Siren. When Siren's mother is taken, the town must rally behind her, and help her make a peaceful transition into the water, before the hunters can find out where she is. After moving to Palm Springs, a young married couple put their love to the test when they discover their neighbors are swingers. They get more than they bargained for when their wild adventures threaten to destroy their love and marriage. PALM SWINGS is a heart-felt and sensual love story examining universal themes that all couples face - trust, commitment, infidelity, forgiveness and sexual desires. 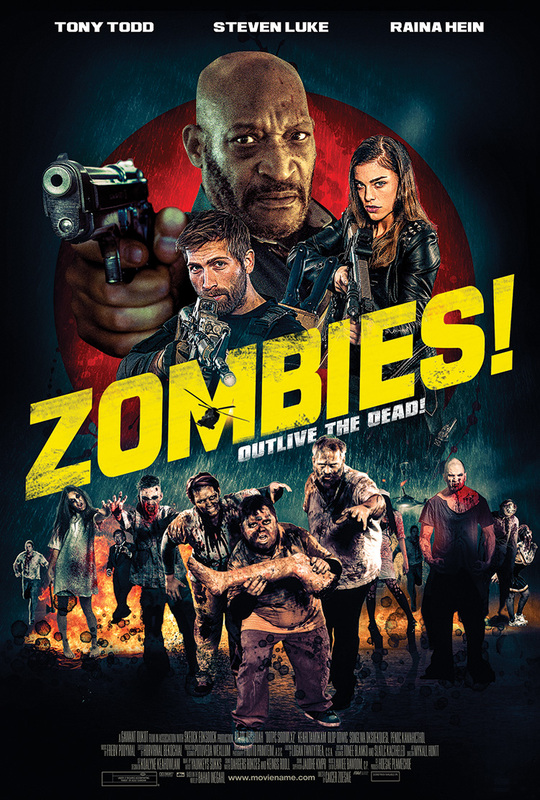 When the world is in shambles, plagued by a zombie outbreak, only the strong will survive. 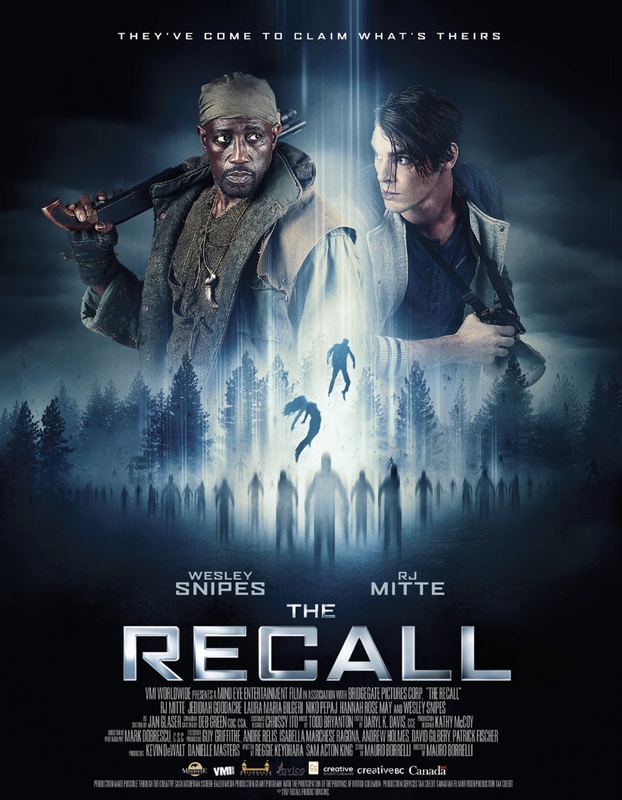 Luke leads his crew with ambition and ammunition, battling to defeat the zombies and save the remainder of the human race. 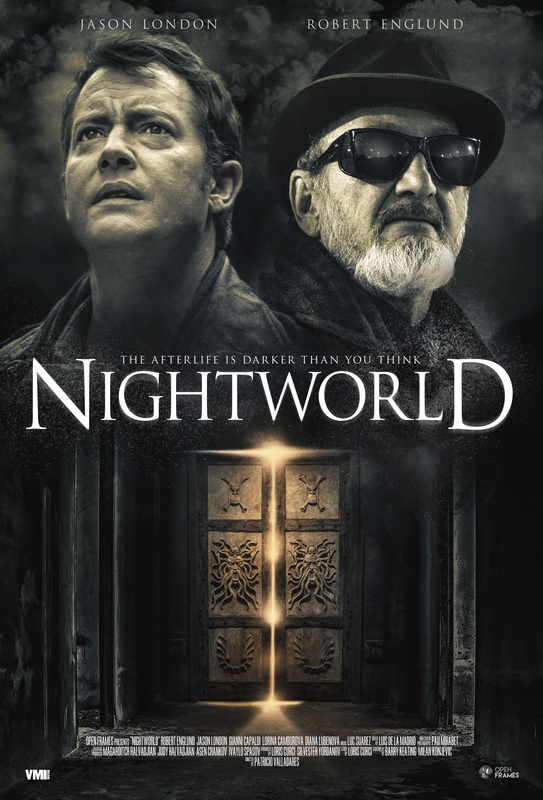 When former cop, Brett Irlam, takes a job as head of security at an old apartment building in Bulgaria’s capital, Sofia, he immediately begins to experience a series of bizarre and terrifying events. As he starts to delve deep into the building’s sinister history and investigate its shadowy owners and past employees, Brett quickly uncovers a malevolent force nestled deep in the bowels of the building, a force that will not stop at anything to be set free into our world. With every Christian suddenly "vanished" from the world, headstrong 15-year-old Gabby is thrust into adulthood way too soon, along with her younger sister Claire and the two teen boys, Josh and Flynn, vying for Gabby's attention. Will the group be able to navigate a dangerous new world ruled by those who've been left behind? 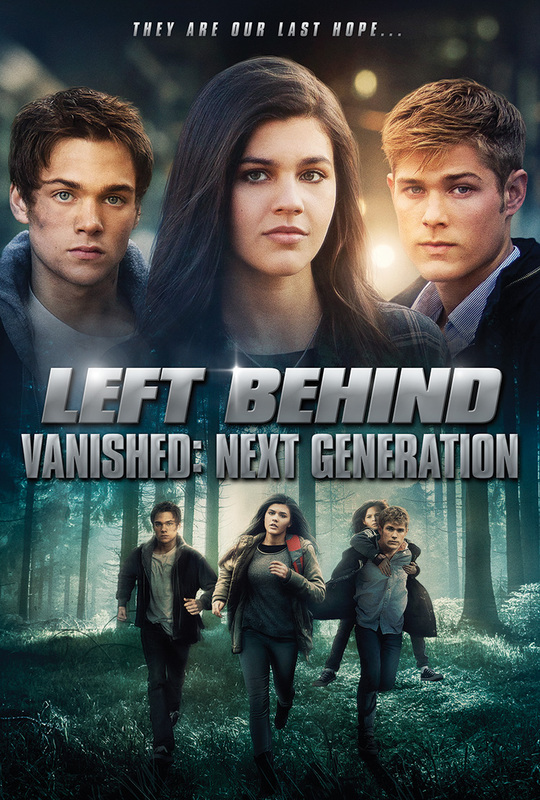 The next installment in the incredibly popular LEFT BEHIND franchise. 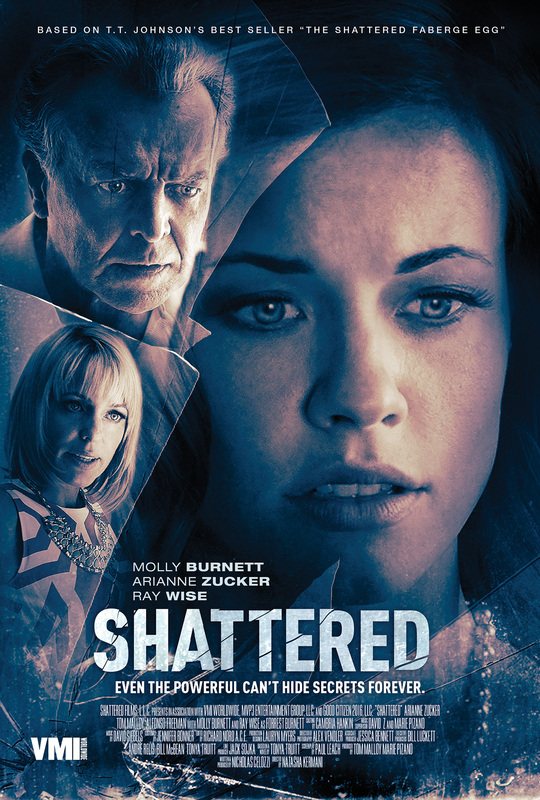 Shattered is a story based on true events about family betrayal, love lost, and a dark destructive secret that swirls around a high powered political family in the Deep South. Kate Stenson dreams of an enviable life as the quintessential Southern Belle. She marries Ken Burnett, the son of the town's powerful Mayor - a controlling father who will do anything to protect his position. Kate has two children with Ken - a biological daughter, and an adopted son, named Logan. But Kate's seemingly perfect lifestyle begins to fray at the edges as she discovers that Logan suffers from severe mental health issues. Kate's journey to uncover the true story of Logan's past reveals a dark secret that can destroy the entire Burnett legacy. As Kate investigates - with the aid of a new friend - to unmask the history behind Logan's illness, these unimaginable family secrets surface, putting her in unforeseen danger. 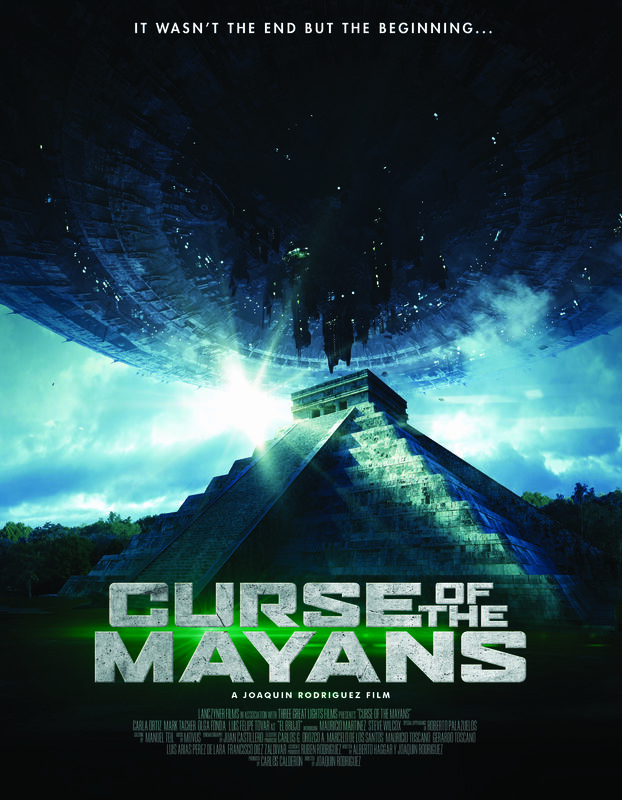 A professor hires a professional team of cave divers to explore long buried underwater ancient Mayan ruins in the hope that he can discover how and why the civilization disappeared. But the team stumbles upon a locked underwater prison that has held evil alien beings and unintentionally free them with their discovery. Now they must escape the immediate wrath of the submerged aliens and ward off the extraterrestrial apocalypse predicted by the Mayans so long ago. A liberal Seattle DJ uses his on-air charisma to create a fictitious conservative radio personality becoming an overnight sensation. A suburban family invites in a beautiful realtor for dinner but she quickly becomes the latest victim of their organ harvesting operation. 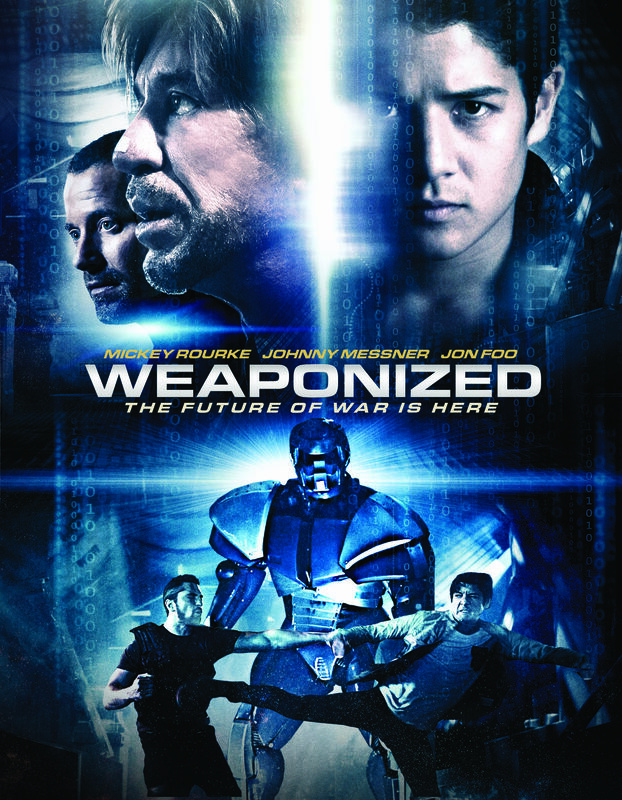 A damaged homicide detective must prevent a vengeful grieving father from unleashing a "robotic virus" that he believes will destroy the terrorist cell that murdered his son. 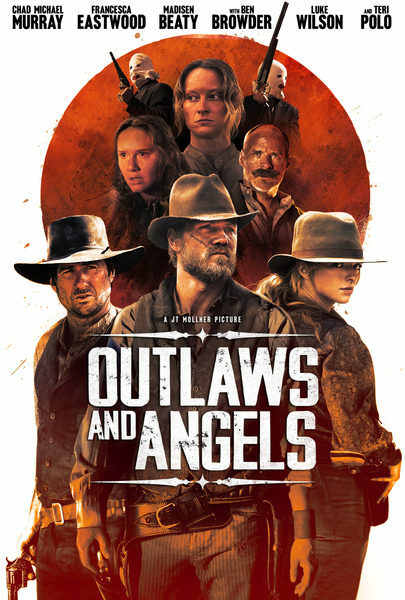 When Outlaws on the lam decide to hide out for the night by invading the home of an unsuspecting, seemingly innocent frontier family, a game of cat and mouse ensues, leading to seduction, role reversal, and ultimately, bloody revenge. A totalitarian government controls the behavior of all its citizens in the not too distant future and rules through a network of elite secret agents and assassins. 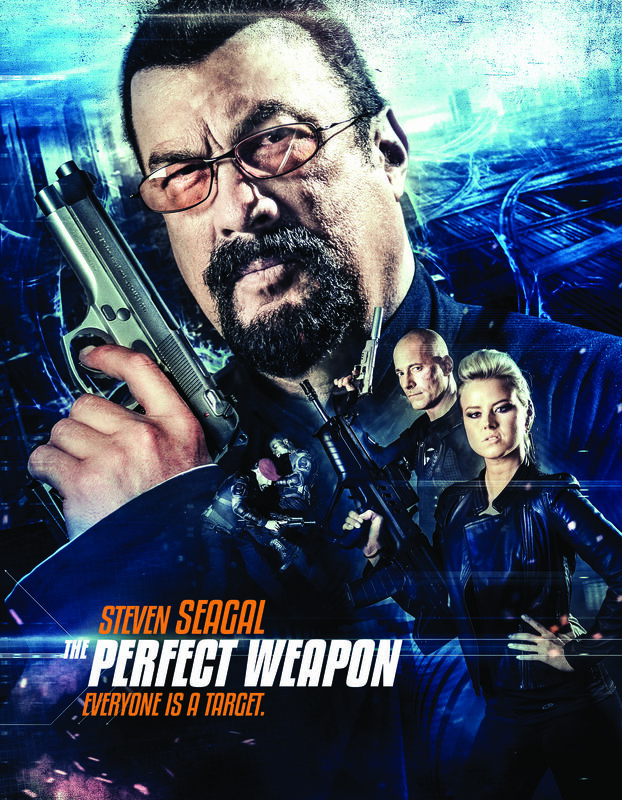 The best of these operatives is Condor but when a failed mission leads Condor to start questioning orders, he discovers an elaborate and deadly conspiracy that reaches all the way to the top and the ruthless dictator, the Director. A late coming of age comedy about a man who must overcome his own fear of commitment while hosting his best friend's bachelor party.